1 YRS Hangzhou Sanle Imp. & Exp. 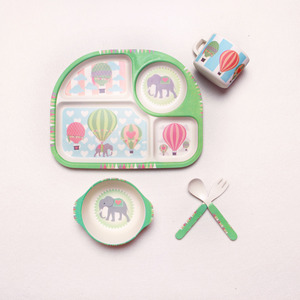 Co., Ltd.
7 YRS Pujiang Welford Industrial Co., Ltd.
wholesale bio degradable christmas edible biodegradable set of dishes kids children children's baby bamboo fiber tableware Product Overview Features&Specifications: - BPA FREE - As tough as melamine plate, yet safer. - Eco-friendly,no chemical,no hurts to earth - Biodegradable,recycled thus environmentally friendly - Anti-bacteria:strong bacteria resistance,flame-proof - Dishwasher Safe Note: Not microwave safe. 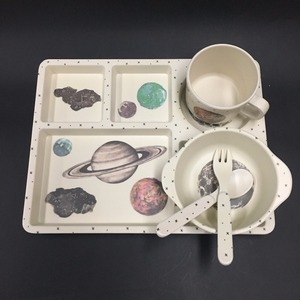 item Name wholesale bio degradable christmas edible biodegradable set of dishes kids children children's baby bamboo fiber tableware Material Natural Bamboo Fiber Color Customised decal printing Size Plate:23x21cm,bowl:13x4.5cm,mug:5x9.5cm,fork&spoon:13.5cm Weight 368g/set witout box,680g/set with color box MOQ 100sets with mixed design. 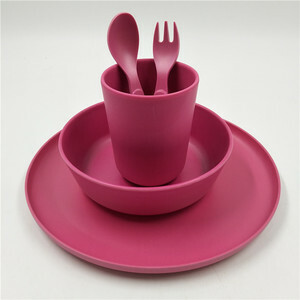 Alibaba.com offers 48,332 bamboo tableware products. About 17% of these are dishes & plates, 15% are dinnerware sets, and 5% are bowls. 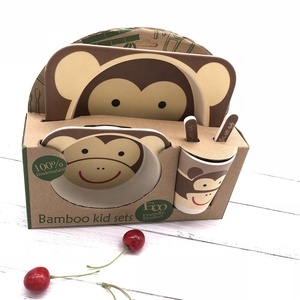 A wide variety of bamboo tableware options are available to you, such as ce / eu, fda, and sgs. You can also choose from eco-friendly, disposable, and stocked. As well as from bamboo, plastic, and ceramic. 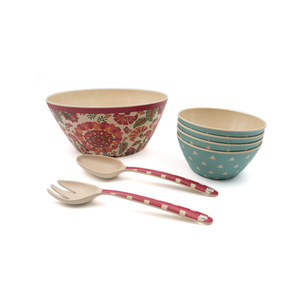 And whether bamboo tableware is dinnerware sets, bowls, or dishes & plates. 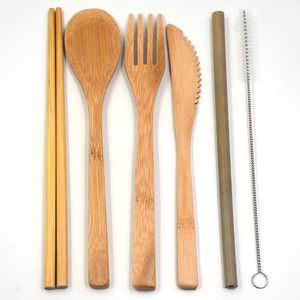 There are 48,332 bamboo tableware suppliers, mainly located in Asia. The top supplying country is China (Mainland), which supply 100% of bamboo tableware respectively. 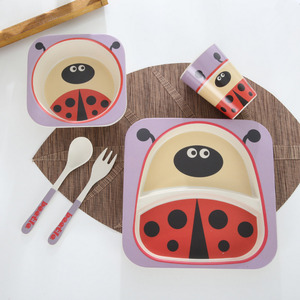 Bamboo tableware products are most popular in Western Europe, North America, and Eastern Europe. You can ensure product safety by selecting from certified suppliers, including 7,622 with Other, 6,817 with ISO9001, and 3,788 with BSCI certification.